OMAHA, Neb. 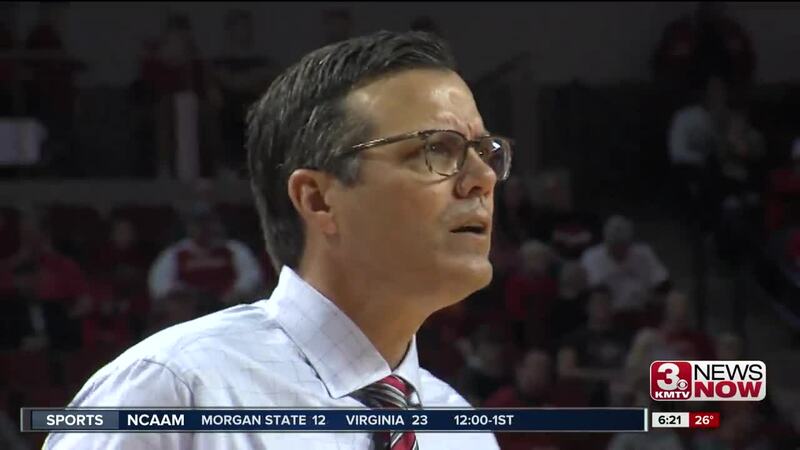 (KMTV) — Nebraska basketball has jumped into the AP Top 25 after a 7-1 start to the season. The Huskers come in ranked No. 24 for the first time since 2014. Nebraska's 7-1 start to the season is the best opening record for a Huskers team since the 2003-04 season. The Huskers went 2-0 in their games this week, defeating Clemson 68-66 and a 75-60 home win over conference opponent Illinois. Coach Miles says the team isn't getting complacent with the recent success. "I like our team and I'm glad we won but I'm going to blink and we're going to be playing Minnesota on Wednesday and we have another ballgame on Saturday," Miles said. "I'm happy and you want to enjoy it but at the same time when I walked in the locker room after the game somebody had written Minnesota on the board and I thought that is a good mark that their mind is in the right spot." Nebraska will take on Minnesota Wednesday before hosting in-state rival Creighton Saturday.